Welcome to my site! If I can help you as your Executive Coach or your next Motivational Speaker, I am very excited to talk to you. As past President/CEO of Radi Medical Systems, Inc. I built a Medical Device Start up from $0 to $28M with profitability in 5 years. I have > 20 years of experience in the Medical Device Industry, I now coach Medical Device Leaders to build both themselves and their companies. I also coach Medical Device Professionals in transition to find their passion and pursue it. Proper networking, goal setting and work/life balance are key to your success. & Alumni Career Services, Bentley University. Are you ready to…boost your confidence? …move forward after a career transition? …gain support by working with a trusted advisor in your corner? If you answered yes to any of the above questions you owe it to yourself to consider coaching with Lisa and take advantage of her Special Offer. Click Here for Lisa’s offer. Acting as your trusted advisor, Lisa empowers professionals to embrace their passion to live their best lives and achieve goals with confidence, accountability and balance. 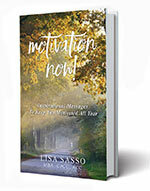 Lisa was recently interviewed by Marc Mawhinney, Creator & Host of Natural Born Coaches in Nov. 2015. If you want to hear the interview Click Here.